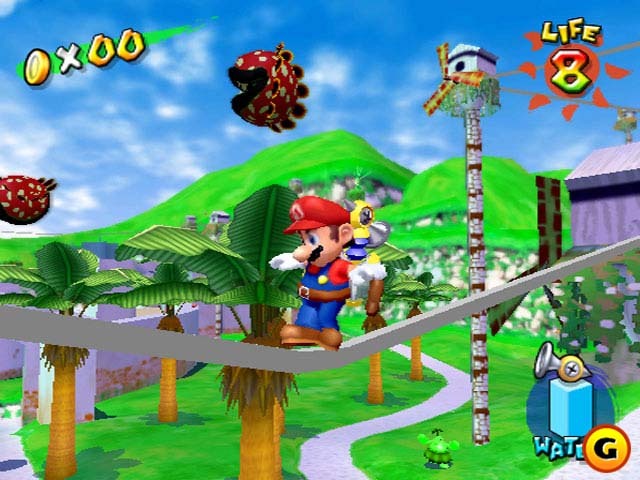 An amazing Mario game that broke the rules of the franchise when it came out. 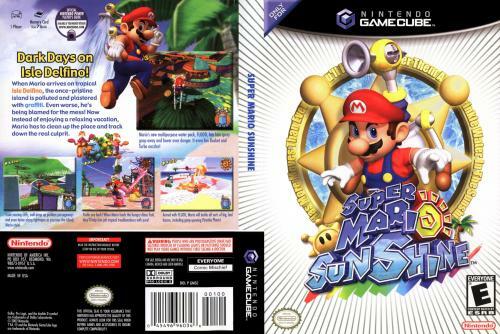 Super Mario Sunshine is my favourite Mario game. 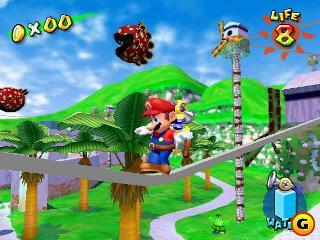 You start off on a plane with Princess Peach to Holiday Delfino Island, but something is amiss. 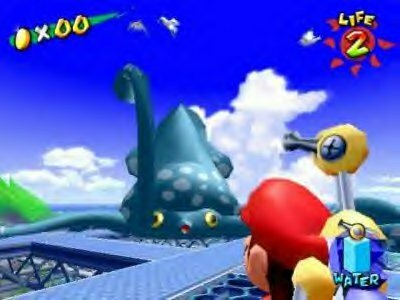 A Mario-Like figure has been spotted, graffity-ing the town! 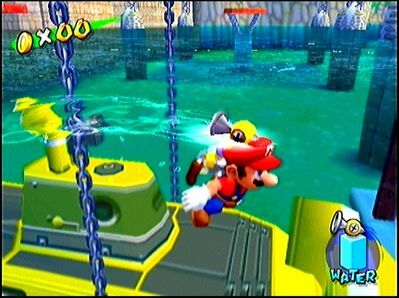 The town officials then take custody of Mario, and is then charged with cleaning up the town with a FLUDD, the water device that will be the basis of this game. 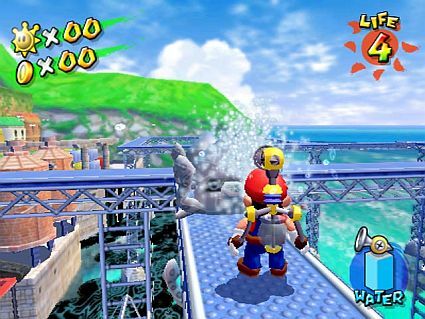 There are tons of areas, the music is great, the npcs are pretty funny, and each area you visit just brims with...Sunshine. Easilly a 5/5. Download NOW! 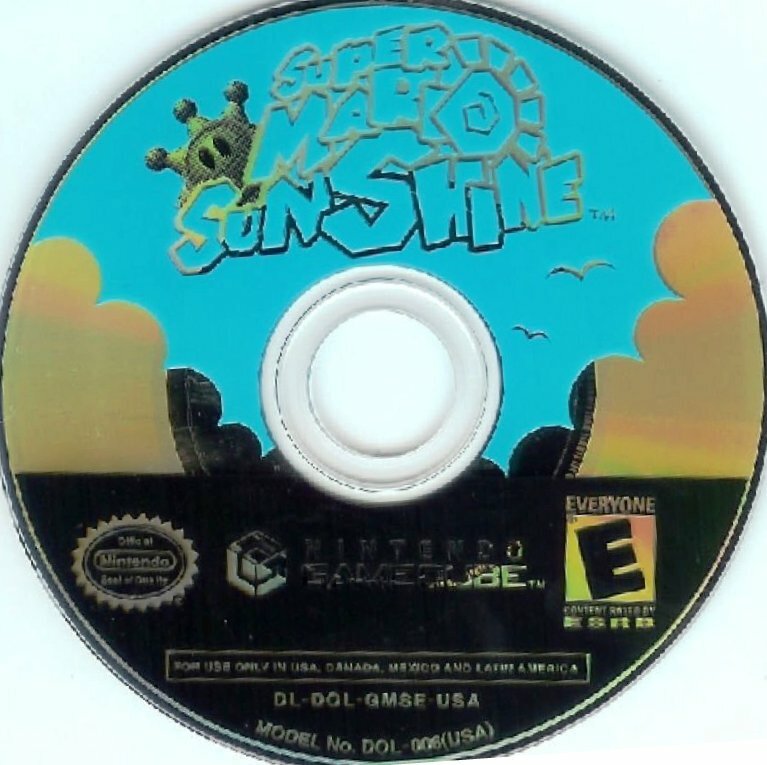 Arguably Sunshine is the favourite of the series. 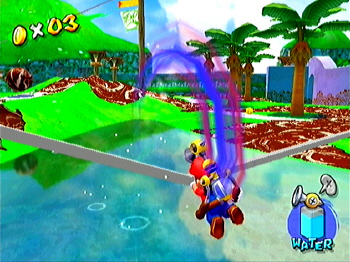 Purely the introduction of the F.L.U.D.D device as Mario's high-tech backpack sent gamers applauding for more. 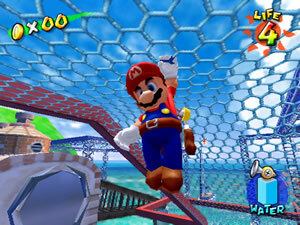 Nintendo delivers with over ten worlds for Mario to explore, each as unique in there own sense. 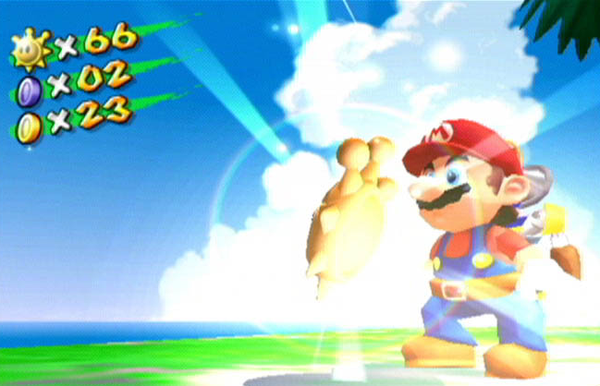 Much like Super Mario 64, Peach has been captured by *Spoiler* Bowser *Spoiler* who has intruded on a new land introduced first here on this game. 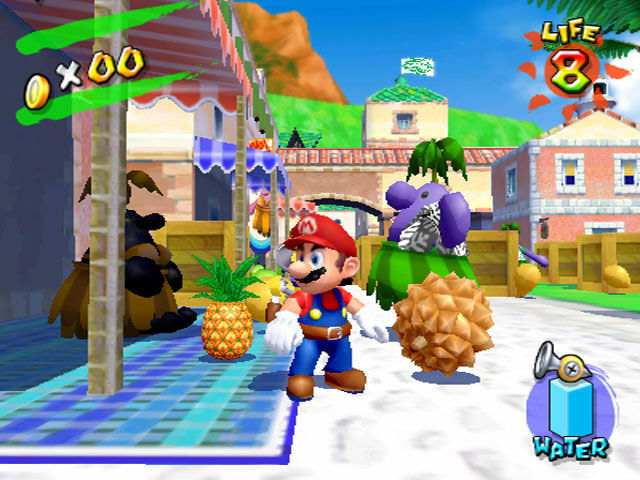 Mario has been framed for polutting a world which is about as tropical as Hawaii itself. That said expect beautiful graphics topped off with a distinctive style formed from the retro and the addition of the new gadget. Sunshine like every Mario adventure title is a quintessential polished piece of gaming 101 that generally deserves more than a look, an entire playthrough, it is clean fun for all ages. You have been recommended! Now you can add videos, screenshots, or other images (cover scans, disc scans, etc.) 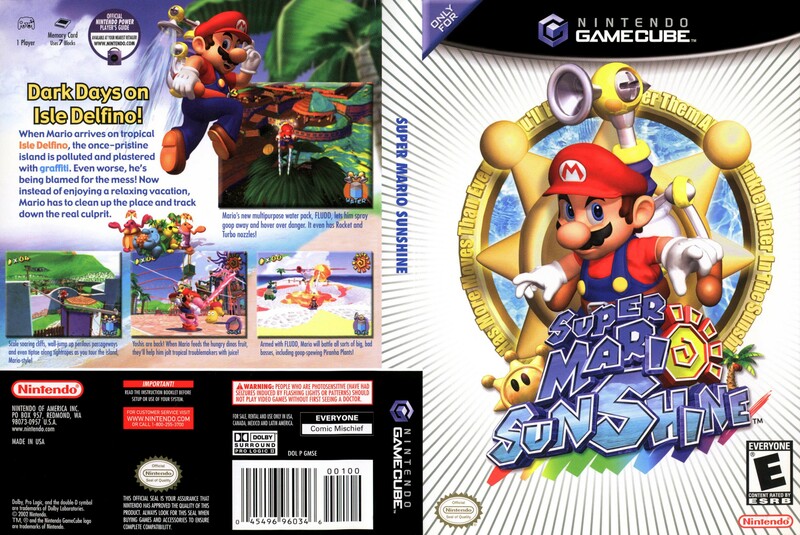 for Super Mario Sunshine (Europe) (En,Fr,De,Es,It) to Emuparadise. Do it now!